A unique collection of 525 Cell Cycle/DNA Damage related compounds for high throughput screening (HTS) and high content screening (HCS). • Nature . 2018 Nov;563(7729):131-136. • Nature . 2017 Jun 15;546(7658):426-430. • Science . 2015 May 15;348(6236):799-803. • Science . 2014 Oct 10;346(6206):244-7. • Nat Med . 2019 Feb;25(2):292-300. • Nat Med . 2016 May;22(5):547-56. • Cell . 2019 Mar 7;176(6):1447-1460.e14. • Cell . 2019 Jan 24;176(3):505-519.e22. • Cell . 2018 Nov 1;175(4):984-997.e24. 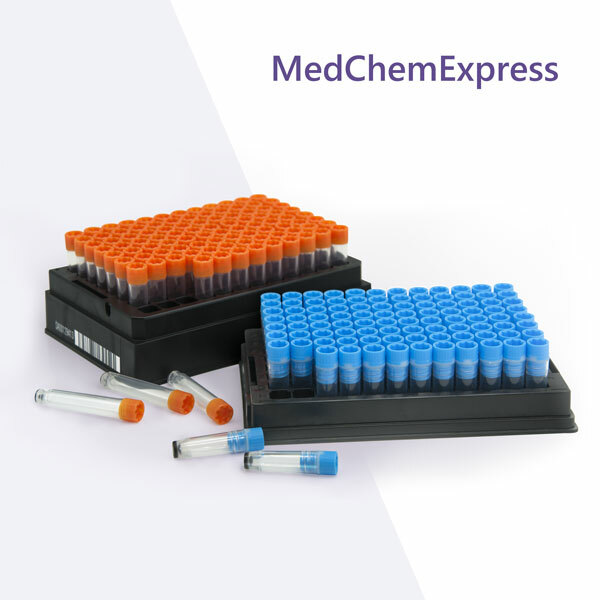 • A unique collection of 525 Cell Cycle/DNA Damage related compounds for high throughput screening (HTS) and high content screening (HCS). • Targets such as CDK, ROCK, Aurora Kinase, ATM/ATR, DNA-PK, DNA/RNA Synthesis, etc. • A useful tool to study the mechanism of cell cycle regulators that are critical to normal development and the development of cancer, cardiovascular, inflammatory, and neurodegenerative diseases. • Bioactivity and safety confirmed by preclinical research and clinical trials. Some compounds have been approved by FDA.